The Paintruraud Secrets de Famille Grande Champagne Cognac is something very special indeed. 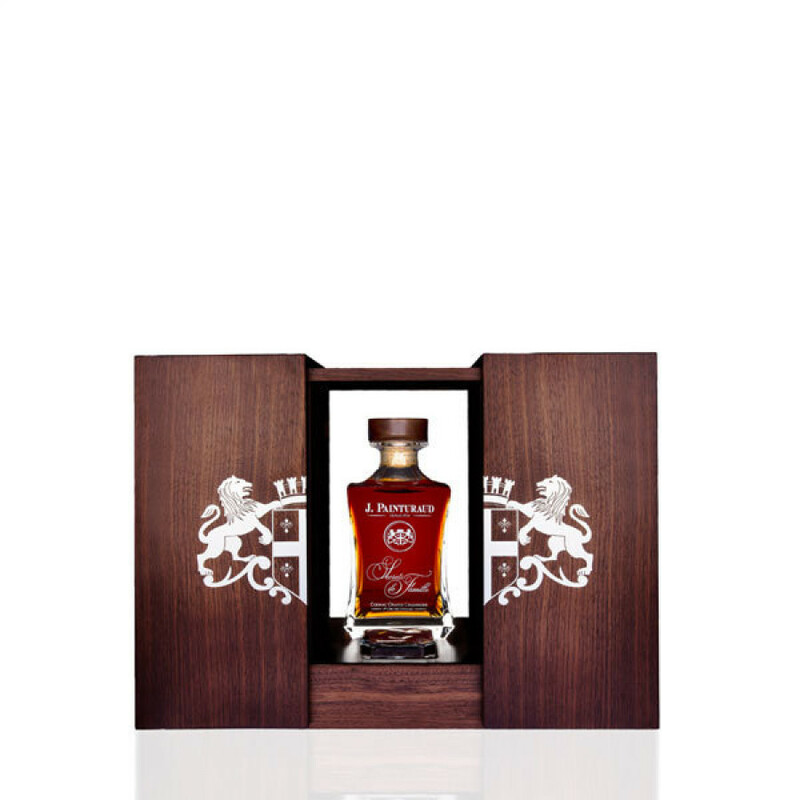 Created to celebrate the 80th anniversary of the house, it's a blend of the oldest and very best eaux-de-vie from deep within the family cellars. And the result is something rather amazing: Powerful, round, with aromas and flavors that take the taster on a roller coaster journey of the senses. 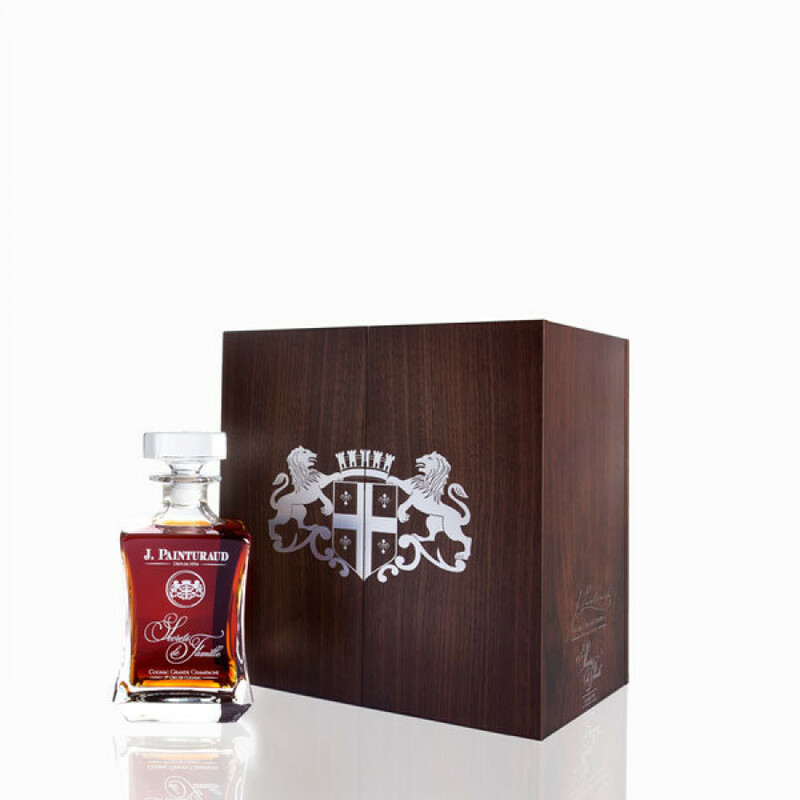 Of course, as once would expect from a Cognac of such quality, the rancio is extremely well developed, making this truly a Cognac for the connoisseur. The presentation is as beautiful as the Cognac it holds. A delightful crystal carafe and wooden presentation cabinet, both made by hand, make this work of art one that deserves pride of place displayed in any liquor collection. The ideal Cognac to celebrate special occasions. And of course, if you're looking for the perfect gift for any lover of fine things, then such a Cognac would certainly be very well received. Leyrat tasting notes: "Golden amber in colour. A powerful first nose is driven by spice and honey. The nose evolves toward pepper and cinnamon with soft honey and buttery richness. The palate is dense and at the same time clean and slightly dry, the Leyrat trademark."